The best way to get your tax debt relief in Los Angeles is to hire a Los Angeles Tax Lawyer to represent you and have the tax lawyer negotiate with the IRS on your behalf. Our Tax Attorneys have years of professional experience with taxation law and IRS loop holes that can get you out of tax trouble. For immediate state or IRS tax debt relief, call today and speak with our Los Angeles Tax Lawyers. Here at Legal Tax Defense, our team of qualified Los Angeles tax lawyers handles and settles all matters pertaining to State of California Franchise Tax Board(FTB) & Internal Revenue Service (IRS). We are a reputable Los Angeles Tax Lawyer team with experienced knowledge in resolving tax liability’s with the IRS. Our Tax Lawyers are extremely dedicated and will work aggressively on your behalf to solve every tax related issue regardless of the circumstances. Stop Wage Garnishments – Sometimes when the IRS or a State fails to collect back taxes, they will begin a ‘levy’ process to reclaim assets and anything of value from the individual concerned. Wage garnishment is a form of the tax levy to seize your paychecks, collecting a percentage or all, in a effort to collect what is owed.Wage garnishment can be very stressful for an individual or business and often become so severe that they are unable to afford necessities. The only way to prevent or stop a wage garnishment is to come up with a tax resolution plan. Our Tax Lawyer in Los Angles will work quickly to help prevent or stop your money from being garnished or levied by the IRS. Stop IRS Levies – Are you receiving collection letters from the IRS? It’s important that you get help from our qualified Los Angeles tax lawyer immediately so your assets can be protected. Don’t wait until levies have been placed against your assets and your property is seized by the IRS. Offer in Compromise – Sometimes due to financial hardship situations a taxpayer may not be able to make payments towards their tax debt. In these circumstances depending on guidelines, the IRS allows tax payers to settle for pennies on the dollar. Let our Los Angeles tax lawyers analyze your case and determine if this program is best for you. Remove Tax Penalties – Every year the IRS issues millions of dollars of penalties against taxpayers. The IRS also abates several of those penalties as well. What most taxpayers don’t know is, they can contest a penalty and if they present a good enough case can have their penalty abated. Here at Legal Tax Defense, we understand your rights to contest a penalties issued by the IRS. Our Los Angeles tax lawyer can help you remove tax penalties from overdue and unpaid tax debts. Remove IRS Tax Liens – A tax lien is a document filed against you when you refuse or neglect to pay your tax debts or even go above a certain tax debt amount. It gives the federal government a legal claim over your properties and ensures that their interests are protected.The best way to release a tax lien is to pay your debts in full. If this isn’t possible, there are several alternative ways to release or subordinate a tax lien. Our Los Angeles tax lawyers handle the release of your tax lien by negotiating something that works for you and the IRS. Tax Audit Representation – If you or your company is facing a tax audit, then you will need immediate assistance and representation. Our experienced Los Angeles Tax Lawyer will help you develop a strategy, handle all the paperwork, as well as attend meetings and correspond on your behalf during a state or IRS tax audit. Prevent or Stop Bank Levies – Aside from wage garnishment, the IRS can also seize your bank accounts as a form of levy so they can withdraw the amount owed from your account. Without notice this IRS or State collection tactic can put you in a major financial hardship. Our Los Angeles Tax Lawyers can help you protect your bank accounts, personal property and other assets from the IRS. You have to act now, a bank levy can only be reversed if you act quickly. Late Tax Return Filing – Our Los Angeles Tax Lawyer can also help file a late or outstanding tax return. If you fail to file on time you are subject to having the IRS force file for you. The IRS calls this a substitute for return. If the IRS has already filed for you we can amend these years possibly lower your tax debt also getting you compliant with IRS filing requirements. Why You Should Work With Our Los Angeles Tax Lawyers? Tax liabilities are a very serious matter, and they can be devastating consequences if you procrastinate. In some cases, individuals have ended up losing their financial assets, cars, and even homes. In some cases individuals are even arrested. As such you can’t afford to hire just any IRS tax attorney, but rather a qualified team with a vast knowledge and experience of California and Federal taxation law. California has one of the most aggressive tax collection efforts in the nation. It also has the third highest income tax rate and higher property tax than before Proposition 13 was passed. You need a Los Angeles tax lawyer who understands every aspect of Tax Law and protects your best interests. No matter what your tax situation is, we will find the best possible avenue of tax resolution for your IRS problems. Ignoring your tax debt will only compound the problem, and handling it yourself offers only a slim chance of success. This is why you need a qualified tax lawyer for tax debt relief to explore all your potential options coming up with the best plan of action. If you want the best and most aggressive in the business on your side, Legal tax defense is here to help! Do you have a tax problem? Call us today for a free case evaluation for tax debt relief options to solve your tax problem. Our tax lawyer in Los Angeles will analyze your situation and present you with the best possible tax defense options. Our Los Angeles Tax Lawyers will protect your assets and protect you from the harassment and communicate with the IRS directly on your behalf. Our goal is to come up with a strategic tax resolution plan giving you a fresh clean start again. 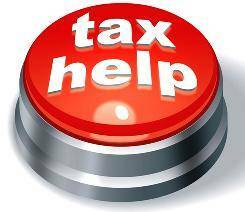 Call us today for immediate tax relief help. The Consultation is FREE!